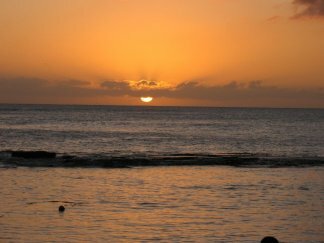 At our son Hal's suggestion, we made our first trip to the islands, staying from December 6–17, 2006. The idea was to meet Hal and his girlfriend, Carey, on their way home from their Asian bike trek. So not only did we have a wonderful visit in this American paradise, but we also got to see the kids home safe and sound from their adventure a little sooner. 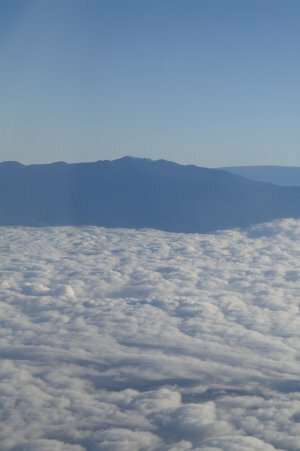 Here is our glimpse of Maui, as we flew over it on our way to the Big Island. I hope we can see it up close on our next trip! All photos, unless otherwise credited, are © by Henry J. and Kathleen Amen. Please do not use without permission.